November 29, 1989 Mabel Keaton Stauper, a leader in breaking down barriers in nursing, died.Stauper was born February 27, 1890 in Barbados, West Indies. Her family immigrated to the United States when she was 13. In 1917, she graduated from Freedmen’s Hospital School of Nursing and in 1920 helped two physicians establish the first hospital in Harlem to treat blacks with tuberculosis. 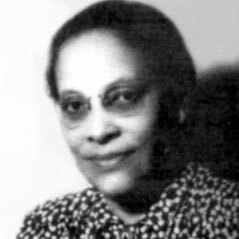 In 1934, Stauper became executive secretary of the National Association of Colored Graduate Nurses and over the next 12 years she increased membership, established a citizen advisory committee, built coalitions with other medical groups, and dismantled many racial barriers, including integrating the Armed Forces Nurse Corps in 1945 and the American Nurses Association in 1948.